Among Ge-Terrain for Revit 2018 features, there is the most innovative use of Google Elevation Service which provides the most accurate information regarding all points elevation. 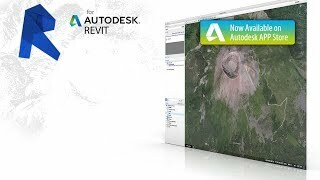 This software enables users to create Topographic surfaces in Autodesk® Revit®. Ge-Terrain makes the most innovative use of the Google Map Services to obtain the altitude information, all points elevation, more accurately. To use it, you can click on Ge-Terrain, then on Configure Google Key and follow the instructions to sign into the Google Map API and request the code. Update the Google Services call. I have not used GE Terrain much since my purchase, but I am now having an issue with importing a surface. When trying to 'Import Surface', and repeated error message comes up: 'Error importing altitude.' It only recently started appearing. What is the cause of this, and the resolution? I've used three different methods to import terrain. Another importer which became useless after google earth stopped their API. I also used sketchup to use google earth then import to revit. This is by far the best working one. Two things to note, 1. great knowledge of how to use it at this youtube video: https://youtu.be/JFZuyknyoOI made by them. 2. your import will be skewed, the button to change it to be parallel with the ground appears in the bottom right when you get close enough. So make sure to double check this.